The whole world cheered as Cincinnati's Regional Bus service, SORTA, offered to "help" with the operation of the Streetcar. Boy do they want to help! 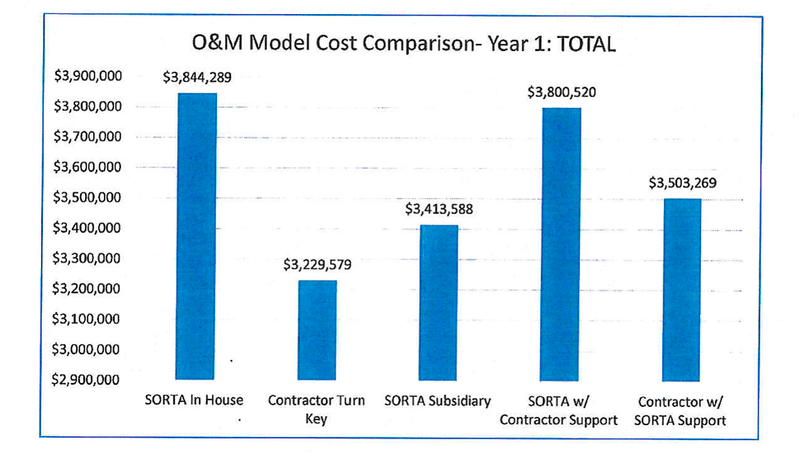 SORTA's own figures show that SORTA's involvement would only increase costs of operations and maintenance. For SORTA to run the operations and maintenance would add over $600,000 to the costs of operations and maintenance! In just 1 year! And remember, these are SORTA's numbers! And we know how accurate the streetcar numbers have been thus far! Under SORTA's rosiest scenario; even just allowing them to "help" a private contractor increases costs by nearly 10%! That's almost $300,000! Again, 1 YEAR. That's a lot of bus tokens. Ohioans have been subjected to the indignity of the rummied-up "False Claims" proceedings before the Ohio Elections Commission for decades, and given the cutting-edge nature of COAST's political communications, it was simply a matter of time before COASTers would be prosecuted for their speech activities. Thus, the twin Complaints from Rob Richardson, Jr. against COAST and Mark Miller for their "tweets" in 2011 were as predictable as they were unfortunate. For, if there is one thing the demo-union thugs want, it is to control the message in political campaigns, and they are willing to be ruthless in oppressing dissent. That oppression includes violating COASTers constitutional rights if necessary. COAST and others in Ohio naturally temper their messages in order to avoid the Inquisition presented by the Elections Commission. But in 2010 and 2011, COAST and the Susan B. Anthony List had had enough. And they sued to stop the unconstitutional and ridiculous process of suppressing speech enforced by the Elections Commission. Judge Black, Judge Barrett, and the entire 6th Circuit Court of Appeals, time and time again, have turned away important challenges to the OEC's enforcement scheme, not because they reasoned that the statute was constitutional, but because they found that COASTers -- and indeed no one, at any time -- had "standing" to ever even challenge the enactment. 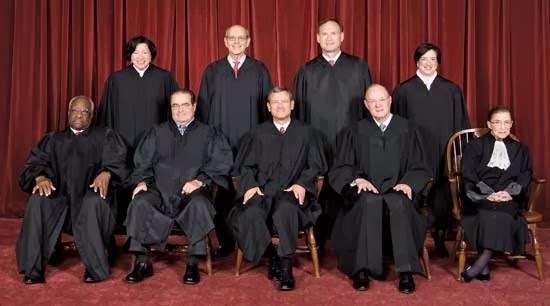 Thus, COAST and Susan B. Anthony List went to the only Court who would listen, and actually apply the Constitution as written -- the highest Court in the land. And on Friday, it ruled that it will accept COAST's case and consider the scheme erected by the Ohio legislature and the 6th Circuit allowing Ohioans speech to be squelched by bureaucrats in Columbus. So, this Spring, as the cherry trees blossom on the Potomac, COASTers will gather to watch their legal team present to Justices Roberts, Thomas, Alito, Scalia, Sotomayor, Ginsberg, Kennedy, Breyer, and Kagan this important -- and fundamental -- First Amendment challenge. And as COAST has repeatedly changed the political and legal landscape in Ohio through its varied challenges of the political status quo, it will once again challenge the orthodoxy tilting our state and nation in the direction of socialism and greater control of our speech activities. Read about it here, here and here.